Vincent is a contemporary women's boutique in the heart of Little Italy in Ottawa, Canada. 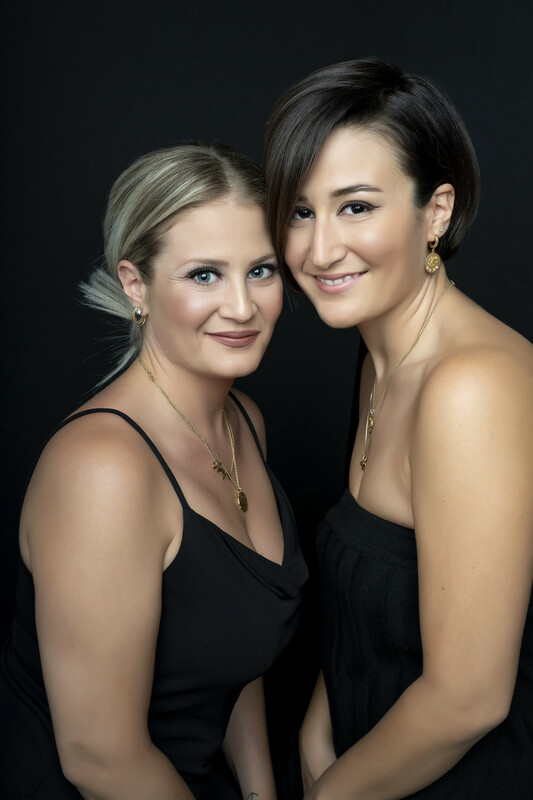 We are Angie and Amanda, two sisters who look nothing alike ( I swear we come from the same parents) and our love for retail took a natural path towards creating our own shop. We wanted it to be more than just a clothing boutique and more about a space that cultivates creativity and simplify the ever so complicated industry of fashion. We wanted to carry brands that we couldn't find in our city, in a open space that you want to visit for the brands but stay for the conversation. We named the shop after our late Uncle Vincent. He was an extremely talented artist at a very young age and left behind unfinished artwork and endless potential. It just made sense. We like to keep the mystery alive as the shop seeks to represent a timeless energy of creativity and innate talent just like Vincent. Not to mention it is just a beautiful sounding name. Since 2013, we have built a community through all the wonderful women we have met along the way. We are inspired daily by them and give back to our community as much as we can. We proudly support Dress for Success with a bi-annual clothing drive, we are a drop off location for The Shoebox Project during December and participate in raising money for the University of Ottawa Heart Institute Foundation which is near and dear to our hearts.